European shares stabilised yesterday after initial gains, amid caution ahead of the G20 meeting in Argentina. Brexit was also high on the agenda for investors again yesterday, with the finishing line for the UK parliamentary vote nearing. 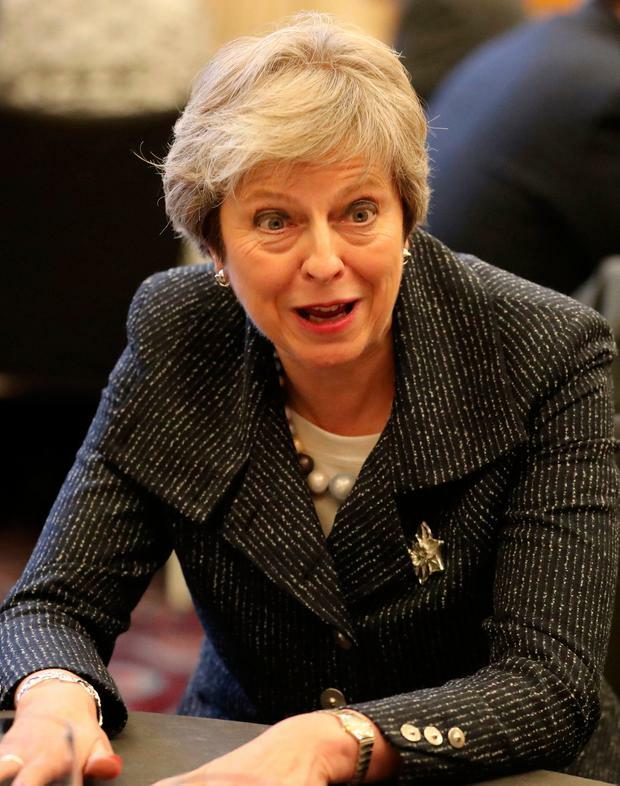 Prime Minister Theresa May is said to have backed down in a key Brexit battleground, clearing the way for MPs to vote on potential changes to her motion. The Stoxx Europe 600 index was unchanged as the closing bell approached. It's 0.67pc ahead for the week, but still 8.6pc lower in the year to date. US cloud software firm Salesforce gave a revenue forecast ahead of expectations, which lifted its European peers. "Politics pretty much overshadow everything," said Mattias Sundling, a senior strategist at Danske Markets Sweden. "It's the trade talks, it's Brexit, it's Italy and it's the Fed. A signal from any of them has a tendency to dominate the day." US stocks opened higher, but early advances were muted amid the latest salvoes from US President Donald Trump in the trade war with China, and ahead of a Fed meeting. In Ireland, the Iseq Overall Index was lower, having declined 0.6pc to 5,838 just a short time from the close. Movers during the session included home builder Abbey, which advanced 3.4pc to €15 as the UK's Telford Homes reported a rise in profits. Most of the homes Abbey builds are in the UK. Ryanair was 1.4pc ahead at €11.96 just before the session ended. Permanent TSB, Bank of Ireland and AIB all fell as the Central Bank said its restrictions on mortgage lending would remain in place. The UK's Ftse-100 was down 0.1pc minutes before the close, while Germany's DAX was flat and France's CAC-40 was up 0.1pc. Meanwhile, NatWest Markets said that sterling could revisit a year-high of $1.43 if Brexit uncertainty is removed. It claimed that long-term foreign investors were waiting in the wings to scoop up UK assets at attractive valuations. Sterling is undervalued against most Group-of-10 currencies in terms of OECD purchasing power parity. It's down 14pc against the dollar and 13pc against the euro since June 2016.